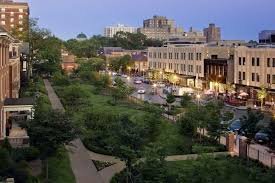 The Missouri Chapter of the American Planning Association (APA) honored four Great Places in Missouri in 2014: The Central West End, St. Louis, Westport, Kansas City, Rountree, Springfield and Old Orchard, Webster Groves. Great Neighborhood West Central End, St. Louis: The 112-block Central West End (CWE) neighborhood of St. Louis, Missouri, features a European-vibe that includes sidewalk cafes, restaurants, boutiques, museums, and popular visitor attractions between St. Louis's crown jewel Forest Park and St. Louis University. The neighborhood has long been St. Louis's most exemplary "rebound neighborhood," surviving a bleak post-War period thanks in large part to an intrepid group of business owners who began rescuing abandoned storefronts in the early 1970s. This so-called Class of '72 helped to inspire dozens of rehabbers to restore the neighborhood’s stock of ornate Classical Revival style homes to their former grandeur. Today, the CWE boasts more than 14,000 residents (and counting) and twice that in employees at its top-ranked Medical Campus. In addition, the CWE hosts the region’s busiest light rail station and is set to open another station within the Cortex Innovation District in the near future, furthering the neighborhood’s status as a car-optional place. Active neighborhood groups work to preserve local flavor and host annual events to showcase the CWE, including the risque Central West End Halloween Party (in its 31st year) and the aromatic St. Nicholas Greek Festival (in its 97th). Great Neighborhood Westport, Kansas City:The Westport neighborhood in Kansas City began as a major center of trade with Indian communities and also served as the jumping off point for those traveling along the Oregon, Santa Fe and California trails. 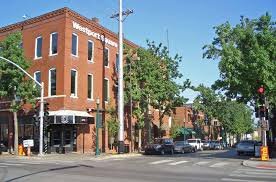 Over the last three decades, Westport had seen its share of hits and misses when it came to redevelopment, and many feared for the future of the Westport Entertainment and Shopping District when Kansas City’s downtown Power & Light District opened six years ago. But today, Westport has experienced a renaissance; it is a 24-hour mixed-use activity center that has a healthy blend of residential, commercial, cultural and institutional uses that are physically and functionally integrated such that it is rated as the 10th most walkable community in the USA by Walkability.com. This success can be traced back to the establishment of the Westport Community Improvement District (WCID) and the Westport Regional Business League which take a proactive approach to making the community a better place in the form of community-initiated capital improvements, security and coordination. These efforts have been successful in attracting new retail, restaurants, offices and residents. Westport has become a destination for foodies, but it also hosts a diverse set of annual events, including the St. Patrick’s Day Parade; Art Westport (in its 35th year) is the only annual art fair that is exclusively made up of local artists; as well as the Middle of the Map Music Festival. 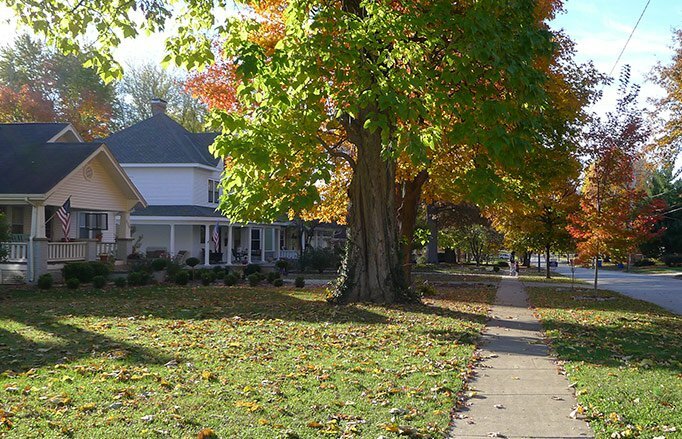 Great Neighborhood Rountree, Springfield: Rountree is a thriving neighborhood of historic charm and diversity, conveniently located by the Missouri State University campus and the revitalizing center-city of Springfield. It is home 1100 households from college students to families young and old. It contains a diverse collection of 1900 to 1930's architecture and spacious tree-lined, grid pattern streets. The neighborhood boasts a unique neighborhood commercial node serving neighbors and visitors alike (which once served as a turn-around for a downtown trolley car) and is a quick bike ride away from professional baseball, performing arts, and a host of unique restaurants and other offerings unmatched in the city. At the center of the neighborhood is the Rountree Elementary School, which opened in 1917 and is today the site of a unique International Baccalaureate Primary Years Program. Rountree is among three neighborhoods in Springfield with an Urban Conservation District (UCD). Rountree's UCD, approved by Springfield City Council in 1985, is a zoning overlay district with special standards that may exceed that of the city, recognizing and protecting the unique nature of the area. Great Neighborhood Old Orchard, Webster Groves: This cozy corner of Webster Groves, named for the orchards that once flourished there, offers a bountiful selection of shops, restaurants and personal services surrounded by institutions – Eden Seminary, Webster University and Nerix Hall High School – and residential neighborhoods, including assisted living facilities, apartments and single family homes. A blend of traditional and contemporary architectural style is reflected in the area’s streetscape that includes a city park with a Victorian-style gazebo as its centerpiece, home to Webster Groves Farmers Market. Residents can walk, bike or take public transportation with a bus route running through the center of the area. Arts populate the area in many ways earning a 2013 Creative Community of Missouri designation. 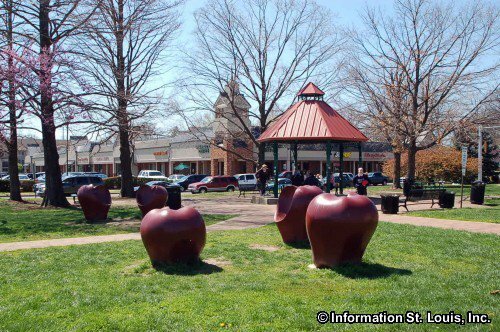 Whimsical apple chairs, a pop sculpture titled “Back Flip,” a series of annual events, including the seasonal and the popular summer Gazebo Music and Movie series in the park enliven the scene and create a sense of community. Regional arts venues are located in the surrounding neighborhood, too. The business district served the neighborhood but as regional shopping centers changed the retail market, the area responded to remain a vital part of the community and region. In 2001, the first phase of streetscape improvements started including enhanced sidewalks, pedestrian scale lighting, landscaping, benches, light pole banners and relocation of overhead utilities. The Old Orchard Special Business District and the Old Orchard Merchants Association provide support to the area through funding of improvements and planning of special events.